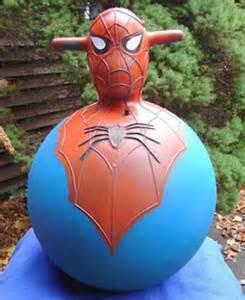 Posted on July 17, 2014 by Mandy	in FyndIt's Featured Collector and tagged Collecting, Collection, Collector, Comic Books, Comics, Featured Collector, FyndIt, golden era comics, Hulk, Under The Sea, underwater, Underwater Comics, Water. Malcolm, known around the FyndIt community as UWComics, came across our radar a few weeks ago during the Classic X-Men Comic Contest. He submitted a Want for Sure Fire Comics #2. It was his winning contest entry that grabbed our attention and left us wanting to find out more about his amazing collection of underwater comic covers. We had the opportunity to catch up with Malcolm and ask him about his esoteric comic book collection. Do you remember your first comic book? 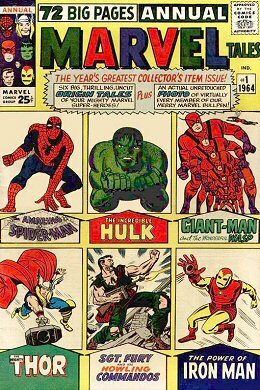 The first comics I can remember owning, reading and saving to be more accurate, were Avengers 186-189 which were part of memorable John Byrne run on this title, in addition to The Incredible Hulk Annual #7, also a John Byrne classic! They may or may not have been the first comics I owned, but they were the group that I found in my toy chest when I decided that collecting comics was going to be something I did. How did you get your start as a comic book collector? I can clearly remember hearing an NPR radio program as a kid of eight or nine years old in Lansing, Michigan riding in the car with my mom. The segment on the radio was talking about how Michigan State University (My parents’ alma-mater.) had one of the largest library collections of comic books in the country. This would have been around the late 1970’s. The radio program provided statistics and some history about comics that got me really intrigued. I made the decision at THAT moment that when I returned home, I would seek out whatever comics I could find and would start to amass my collection. From that day forward, I brought my comic collection to school with me every day as I could not bear to be apart from them. I was really proud of them and wanted to show them off to my schoolmates. As my comic collection grew to fifty-plus books I would bring them to school in a brown paper bag and set them on my desk. At some point, my teacher had had enough and told me that I was no longer allowed to bring them to school. That’s when I graduated to my first comic book box and the rest is history! How long have you been collecting comics? I have been collecting comic books for over thirty years, essentially since 1977 at the age of nine. How big is your comic book collection? My primary collection is nearing 15,000 comics. I have several types of collections of comic books. There are a couple of special interests that I like to focus on. I love all Golden Age superhero comics published between 1938 and 1949. 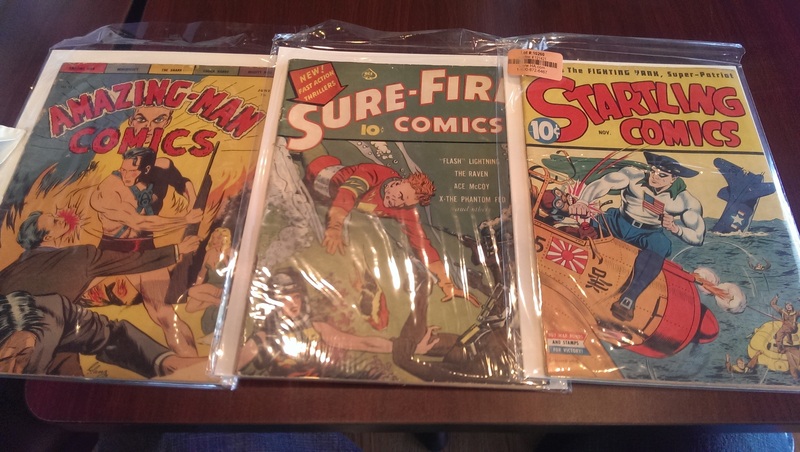 I also collect Marvel Silver Age comics. I love anything Hulk and have amassed every Hulk issue published and own multiple copies of the early Hulk issues. I have carved out a very special interest in comic covers depicting underwater scenes from the Golden Age. I have indexed more than 325 underwater comic book covers from 1933- 1961, which are loosely defined as Golden Age or at least pre-Silver Age by Marvel standards. Of the couple hundred underwater comic covers that I have indexed, I have managed to collect about 180 examples. Do you collect anything else besides comics? I am a huge Incredible Hulk fan and have amassed all of his comics and crossover appearances in addition to a lot of memorabilia from 1960 to 1990. There are so many Hulk items that I try to only collect really interesting Hulk memorabilia that is current. I’m also into collecting rare illustrated children’s books with a special interest in arts and crafts as well as Alice In Wonderland books. Additionally, I also collect Big Little Books and have around 100 of them. In addition to comics, children’s books and lunchboxes, I also own about 200 academic, hobby and fandom-type reference books on comics. How do you display your comics? I have various ways of presenting the comics in my collection. I use old store displays with acrylic waterfall style racks, old magazine display racks, large library book display cabinets in addition to lots and lots of cabinets. I also frame some of my comics. Do you have a special room that you store them in? Yes, all my collections with the exception of the lunchboxes are stored in a single climate controlled room that monitors humidity, temperature and lighting. It also includes two safes. Was there one particular underwater comic cover that caught your attention and started your sub collection of underwater comics? Yes, most definitely – Whiz Comics #19! It showed Captain Marvel on the sea floor holding a shark in a headlock, a floating woman, interesting sea life and the shark’s tail engaging and obscuring the title masthead in a powerful way really playing with the space. This issue holds all the characteristics that I enjoy about Golden Age comics – early crude superhero artwork and massive bold type font for the title and cover price. I just love form and structure of Golden Age covers. At the time, the new standard of a spatial divide on the cover included the graphic font in the top third and the “window of action” below. Whiz Comics #19 cemented my desire and was the first comic I purchased when I decided that I was going to collect every Golden Age underwater comic cover. Do you have an online gallery of photos of your underwater comic covers that you can share with us? Not as of yet. I am reticent to advertise to the collecting community that I am seeking many of these items for fear of others jumping in- when the supply of this type of book is odd, rare and particular. Now that being said – I have created and hope to publish a small fanzine style book that is a fully illustrated index of all the underwater comic book covers in alphabetical order – much like the Gerber Guide to comics. I’ll start the fanzine after I have obtained another 50 to 60 of the missing issues from my big list. Are you going for quantity or quality of underwater comics? How do you determine which ones you want? I solely look for solid examples of the underwater comics. I do not look for quantity on any particular issue since some of them I am happy to locate just one copy. As to condition, since the cover is the main focus I want that to be mainly be intact, but many times I do compromise if the comic is rare, expensive or falls in my lap so to speak. I really love my underwater comic cover collection as I am fascinated with covers from 1933-1961. I have comics from every genera during this period including superhero, funny animal, spy, detective, westerns, Archie, romance as well as Jerry Lewis and Bob Hope . How about that! As to other determining factors, I used to want the entire scenario on the cover to be underwater (This type still holds a special place on the list. ), but I have include many partial underwater covers. I am mainly interested in the graphic design of all Golden Age comic books and I feel that the depiction of underwater scenes holds a special quality of visual performance unlike anything else. The weird suspension of the characters in the illusionistic space of the 2-D art is as compelling as the great and unbridled inventiveness of colors and forms used in the cover space. Since starting my underwater collection, I have since dabbled with the thought of collecting all outer space covers or underground cave covers, but you have to put the brakes on somewhere, right?! How do you determine the value of your comics? Value for resale is through the established collector market and with the Overstreet guide or the old stand-by – what the market will bear. On occasion, I have spent more money that what the Guide states for a low grade comic just so I could have it. On the other hand, I have lucked out finding some long sought after or impossible to find books well below the price listed in the Guide. Where do you usually track down hard-to-find comics? 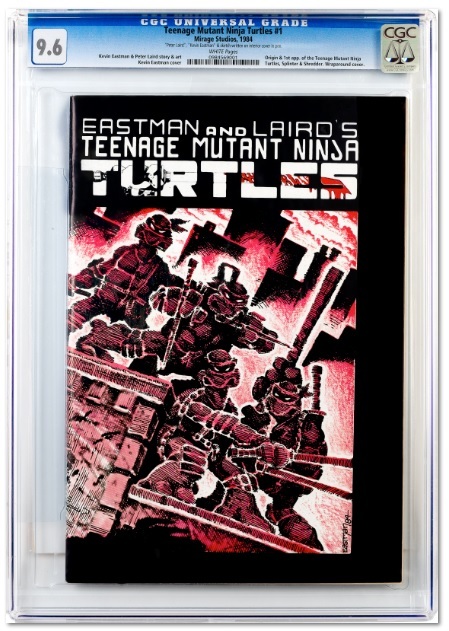 I track down hard-to-find comics on eBay, Heritage Auctions, ComicConnect, various online stores, mail order and comic consortium group of collectors and stores owners from across the globe. This is a private group of friends who communicate daily via email and we talk, chat, barter and help each other in our mutual passions. AND, now I use FyndIt too! How did you come across FyndIt? One of your Facebook posts popped up in my feed and I went down the rabbit hole! Do you think FyndIt is a useful service for connecting people who want stuff with the people who know where to find it? Yes I do! I am still learning the ropes and need to spend more time with the site to see if I can be of assistance to those who are looking for items. I don’t really care about the finder’s fee personally- so if I can help, I will regardless of the bounty reward once I figure out the lay of the land. I don’t much care for digital comics at this time – I have read a few, but I am enthralled with artifacts when it comes to collecting – something I can touch and smell. Do you have any advice for people who are new to collecting comics? Like it is often said, only collect what you love, want to hold, read or study. If you are in it for the money, that is OK too, but DO your research and learn how to grade. Learn what grading is, how it evolves and learn about the relationship between true rarity, fan or market driven fads/trends and true long term investments. MOST OF ALL HAVE FUN WITH IT- MAKE IT PERSONAL! 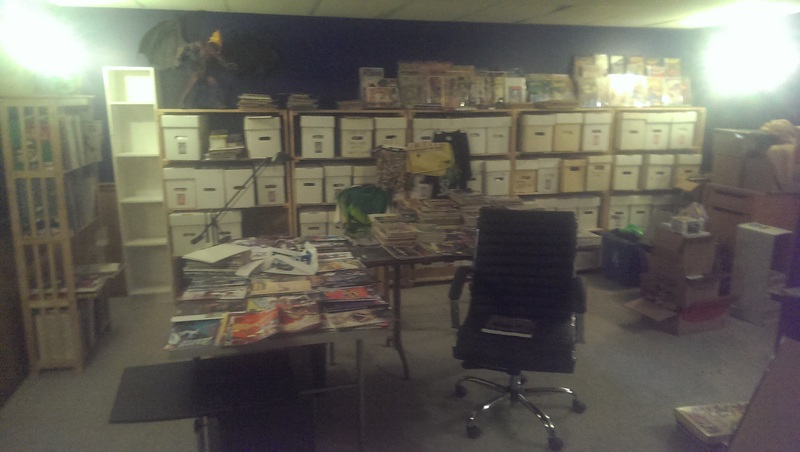 Is there anything else that you would like to share with us about your comic book collection? The dangerous thing for me about my collections is that I keep finding new reasons to be interested in books; I keep discovering new passions within my passions. 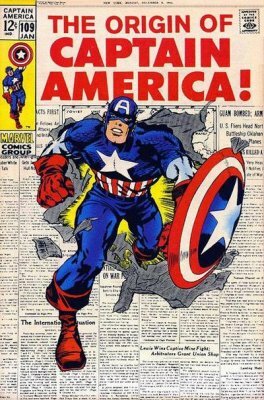 As a newbie, I thought it would be possible to obtain every Golden Age comic book, every 10 cent cover of a certain style of graphic (I still want to chase this dream. ), every 10 and 12 cent book of certain style of graphic and so on and so on. I love it – I share my passion with whomever I can and thankfully I have an understanding spouse who has collecting habits of her own. I have given my nine year old the collecting bug too. He has nearly 1,000 comics of his own because his dad gave him so many! If only my dad had had the same passion for comics as I do – think of all of the comic books I could have owned! If you are a serious collector who would like to show off your collection or you know of someone who deserves some props, give us a shout-out at support@fyndit.com and you could be our next Featured Collector! Check out our collection of Underwater Comic Book Covers on Pinterest.